F Dominic Zwerger (Spokane, Everett, 2013-17) has signed a three-year contract with Ambri-Piotta (Switzerland, NL A). This season, he had 28 goals and 47 assists in 67 games with Everett. . . . Zwerger is Austrian but qualifies as a non-import because he played minor hockey in Switzerland. . . .
F Dane Byers (Prince Albert, 2001-06) has signed one-year contract with the Manchester Storm (England, UK Elite). This season, with Cologne (Germany, DEL), he had seven goals and five assists in 49 games. He plans on studying for his MBA at the University of Salford while playing for the Storm. With the on-going debate about the Memorial Cup and its format, it’s only fitting that Taking Note should hear from Dean (Scooter) Vrooman, who was there in 1983 when the four-team tournament, featuring a host team, first was held. destroy the tournament, but it should be pointed out that only seven host teams have won the Cup in the 35 years of this format without also winning their league championship. “And Windsor was the first team in 35 years of this format to win the Cup without winning at least one playoff series. “The host team had lost its opening game six straight years from 2009-14 until Quebec beat Kelowna 4-3 in 2015. Red Deer also lost its first game in 2016. “So, overall, one could argue the teams that ‘earn their way in’ have done very well in this format. “Every time a host team wins, the format will come into question — but the very small crowds in Hull, Que., at the 1982 Cup (the last three-team tournament) was what really motivated Brian Shaw to champion the host team format, both from a financial standpoint and from the atmosphere standpoint. Vrooman, now the Portland Winterhawks’ director, sponsorship sales and service, was a long-time radio voice of the team. Shaw was the co-owner and general manager of the Winterhawks at the time and he really championed the move from a three-team tournament to a four-team affair that provides automatic entry to a host team. One other thing that has to be remembered in discussing the Memorial Cup and its format is this: After the 2013 tournament was held in Saskatoon, each of the WHL’s teams received $148,913, a figure that was $118,477 following the 2016 event in Red Deer. If you are thinking about a new format, you need to take that into consideration because that, as much as anything, is why it won’t change in the near future. The Moose Jaw Warriors have signed general manager Alan Millar and head coach Tim Hunter to what a news release says are “multi-year” contract extensions. . . . The Warriors didn’t release any information as to length of contracts or when they might expire. A source familiar with the situation told Taking Note late in the regular season that the board of directors of the community-owned team had agreed to terms with Millar on a five-year extension but had yet to announce it. . . . Millar is entering his eight season with the Warriors. . . . Hunter, 56, has been the Warriors’ head coach for three seasons. He has 14 years as an NHL assistant coach on his resume. He also was an assistant coach with Canada’s national junior team at the 2017 World Junior Championship and will be back in that role for the 2018 tournament. . . . The Warriors are 110-83-23 under Hunter, having made the playoffs each of the past two seasons. They lost in the second round of the playoffs last season and to the Swift Current Broncos in seven games in this season’s first round. Moose Jaw had gone 42-21-9 in the regular season, good for second in the East Division, five points ahead of the Broncos. . . . The Warriors also announced contract extensions to assistant coaches Mark O’Leary and Scott King, Doug Gasper, the director of scouting, and Brooke Kosolofski, the head athletic therapist. . . . The Warriors also have hired Tanner Arnold as equipment manager. He spent the past two seasons as the trainer/equipment manager with the SJHL’s Flin Flon Bombers. The Tri-City Americans have signed F Isaac Johnson, 18, to a WHL contract. Johnson, from Andover, Minn., played this season with the USHL’s Des Moines Buccaneers, scoring 14 goals and adding 14 assists in 47 games. . . . NHL Central Scouting has the 6-foot-2, 175-pound Johnson ranked No. 97 among North American skaters for this month’s NHL draft. The Lethbridge Hurricanes have signed F Noah Boyko, who was the 16th overall selection in the WHL’s 2017 bantam draft. Boyko, from St. Albert, Alta., had 25 goals and 27 assists in 36 regular-season games with the Fort Saskatchewan Rangers of the Alberta Major Bantam Hockey League this season. He added seven goals and 11 assists in 14 playoff games as the Rangers won the provincial title. He then recorded six goals and four assists in five games at the Western Canadian championship. F Michael Spacek of the Red Deer Rebels has signed a three-year entry-level deal with the Winnipeg Jets, who selected him in the fourth round of the NHL’s 2015 draft. The contract has an annual average value of US$833,300. . . . Spacek, 20, had a team-high 85 points, including 30 goals, in 59 games with the Rebels this season. In two seasons with them, he had 139 points, 48 of them goals, in 120 games. . . . A native of Czech Republic, he finished this season with the AHL’s Manitoba Moose, earning one assist in four games. . . . He also played for Czech Republic in three straight World Junior Championships. . . . Because he was drafted out of Czech Republic, he is eligible to play in the Jets’ system in 2017-18, or he could return to the WHL as a two-spotter — a 20-year-old import. A group that includes former Moose Jaw Warriors F Ryan Smyth has purchased the AJHL’s Spruce Grove Saints. The AJHL announced Thursday that its board of governors has unanimously approved the sale. . . . Darren Myshak had owned the Saints fo rthe past 14 seasons. . . . The new ownership group, known as Silent Ice, also includes Lindsey and Dan Leckelt, owners of Silent-Aire, an engineering and manufacturing company. Silent Ice also owns the senior AAA Stony Plain Eagles. Smyth, who played three seasons (1992-95) with the Warriors before going on to play 1,270 regular-season NHL games, is the Eagles’ captain. . . . Smyth will be the Saints’ president and is looking for a general manager and head coach after it was revealed that Mike Ringrose “has decided to leave the Saints to pursue other opportunities” after just one season. . . . Smyth also announced that Steven Goertzen (Seattle, 2001-04) is on board as hockey skills development coach. Goertzen is a native of Stony Plain. Meanwhile, the AJHL’s board of governors also approved the sale of the Drayton Valley Thunder from a community group to a group that includes Cindy and Monte Waronek and Judy Sweet, all of whom, according to a news release, “are longtime residents and business owners in Drayton Valley.” . . . You have to wonder if Ringrose might surface with the Vancouver Giants, who have an opening for an assistant coach. Vancouver head coach Jason McKee spent 10 seasons with the Saints, and Ringrose was there for six of them. After a tough day following his initial stroke, hearing that ex Leaf Bob McGill doing a little better in hospital. Bob McGill, a former WHL defenceman, revealed via Twitter on Thursday morning that he has suffered a stroke. . . . Lance Hornby of the Toronto Sun later reported that McGill “is in a Peterborough-area hospital after suffering a blood clot-related stroke.” According to Hornby, “McGill, 55, fell ill Wednesday at his cottage, according to friends. He tweeted about his condition early Thursday, wryly noting he ‘survived 705 NHL games and 190 fights, but in for my toughest fight now,’ while confirming the clot and the stroke.” . . . Later Thursday, Kevin McGran of the Toronto Star reported that McGill suffered two strokes — one at his cottage and another while in hospital. . . . McGill, a native of Leduc, Alta., played two seasons (1979-81) with the Victoria Cougars, totalling eight goals, 54 assists and 525 penalty minutes in 136 games. . . . The Toronto Maple Leafs selected him in the second round of the NHL’s 1980 draft. He went on to play 705 NHL games, splitting them between Toronto, the Chicago Blackhawks, San Jose Sharks, Detroit Red Wings, New York Islanders and Hartford Whalers. He finished his NHL career with 17 goals, 55 assists and 1,766 penalty minutes in 705 games. . . . McGill spent a lot of this season on the broadcast crew for the AHL’s Toronto Marlies. If you’re a regular here, and even you aren’t, feel free to contribute to the feeding of the Drinnan family by making a donation to the cause. You are able to do so by clicking on the DONATE button and going from there. BTW, if you want to contact me with some information or just feel like commenting on something, you may email me at greggdrinnan@gmail.com. I’m also on Twitter (@gdrinnan). The Swift Current Broncos have signed Dave Rathjen as their goaltending coach. Rathjen actually joined the Broncos late this season on an interim basis through the end of the playoffs. 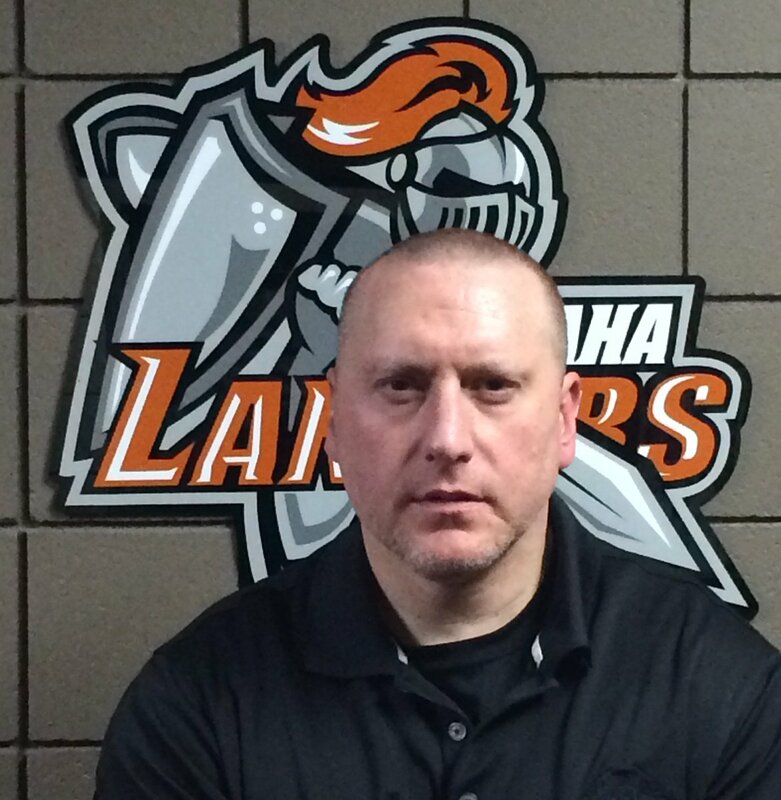 Rathjen is a former WHL goaltender, having played 11 games with the Tri-City Americans in 1997-98. . . . From Penticton, B.C., he owns and operates Above the Crease Goaltending LTD.
Former WHL D David Wilkie has been named head coach of the USHL’s Omaha Lancers. 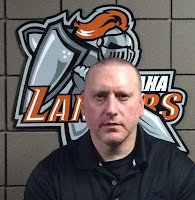 Wilkie played for the Lancers and was part of their championship team in 1990-91. . . . Wilkie, 43, has spent the past seven seasons coach with the Omaha AAA Hockey Club. Most recently, he has been its director of hockey operations and the head coach of the U-18 and U-16 teams. . . . Wilkie also has coaching experience as an assistant with the U of Nebraska-Omaha in 2007-08 and as head coach of the ECHL’s Augusta Lynx in 2002-03. . . . He split four WHL seasons (1990-94) between the Seattle Thunderbirds, Kamloops Blazers and Regina Pats. He was part of the Blazers’ 1992 Memorial Cup-winning team. Scott Atkinson is the new head coach of the BCHL’s Salmon Arm Silverbacks. 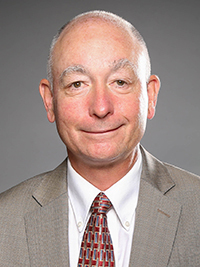 He also will work as the assistant general manager, alongside Troy Mick, the organization’s president and GM. . . . Atkinson, from Calgary, had been coaching at the Edge School in Calgary since 2009. Prior to that, he was the head coach of the U of Calgary Dinos in U Sports’ Canada West conference. He also spent 11 seasons as the head coach at Mount Royal College in the Alberta Colleges Athletic Conference. . . . In Salmon Arm, he takes over from Misko Antisin, who stepped down at season’s end. Antisin started the season as the head coach of the Steamboat, Colo., Wranglers of the Rocky Mountain Junior Hockey League, but returned to Salmon Arm in November when head coach Brandon West was fired. Former NHL D Moe Mantha has signed on as the new general manager and head coach of the NAHL’s Brookings Blizzard. He replaces Dan Daikawa, the head coach for the past three seasons whose contract wasn’t renewed. . . . Mantha played 12 seasons in the NHL. He has coached with the OHL’s Windsor Spitfires and Saginaw Spirit. . . . This season, he coached the French River Rapids of the Northern Ontario Junior Hockey League while scouting for Saginaw.